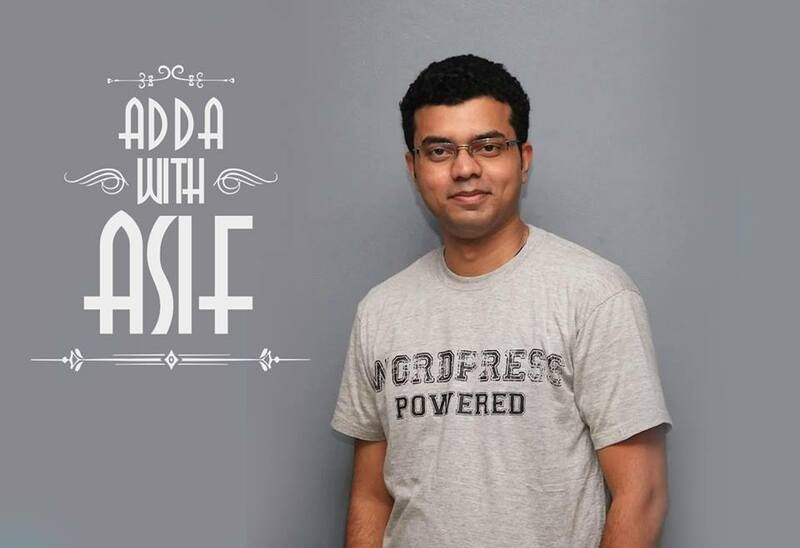 What “Adda With Asif” Means? 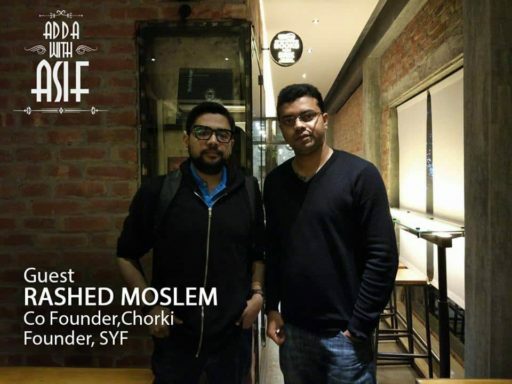 *I was in the discussion about few names, and this one came up with my first participant “Rashed Moslem”. Kudos to him! What Happens in “Adda With Asif”? I will talk with people and share the details. It will start in written form in my blog Asif.im, but in future, it could be podcast (which I personally hate), or ever video. I have not figured it entirely, it’s journey, we will find it out with time. For now, I want to make it simple so I could start easily, and keep the option open. I will talk about business or project that my guest/guests (yes, idea is to involve more than one guest) is working on, and also about his past work. It will have lots of focus on his philosophy about work and life, and I will discuss mine as well. The conversation could go into many directions, but my main focus will be finding interesting jest, that I could share with the world. The discussion is not an interview, it’s multi-dimensional, so it does not mean only I will ask the question. I have a lot of my meetings where I actually have to advice and share ideas with fellow participants. I could also talk with a founder having issues like funding or technical development, and see how I or anybody else we have with us on that day could help. This could happen at Coffee World, any other coffee place, restaurant, my office, participant’s office or even in an open place. This is not location specific. Right now I am in Dhaka, so will start from here. I travel a lot, and I meet people on the go, will continue this where the journey takes me. If there is any confidential discussion, that will not be mentioned in the writing or in any medium, here Participant controls what he want to share. There are no criteria who gets selected as my participant, but I have a long list of people that I speak regularly, so will start from there, if I see enough interest soon I will add an option to request to meet me. I do not have an exact plan how frequently I want this to go, could be twice a week (that’s even possible as I meet people almost like every day) or maybe less frequently. Let’s keep this open. There is no endorsement or investment guarantee. This is an “Adda”. What Doesn’t Happen in “Adda With Asif”? You don’t have to do a 2-minute pitch unless I ask you to do. Why am I doing “Adda With Asif”? Actually, it’s not like I am doing it alone. One of my main focus in life now is to grow with others. I am a firm believer of the statement “if you want to go faster, go alone, but if you want to go further, go together”. I want to go further, so I pack with my peer group. I am working for over 8 years to help other co-founders grow, it started as mentorship and then I end up investing in 20+ companies in past 7-8 years. I especially invested in 8 startups in Bangladesh in past 4 years alone. I am very fond of my fellow co-founders. And this plan, to do more with my time and effort with Entrepreneurs came from my numerous discussion with Tareq & Nizam from weDevs & Rx71, Saimum from Geeky Social, and also obviously Rashed(from SYF), who also happen to be my first guest. So, you will see with time, it’s actually not my personal plan, it’s a combined effort. As I am the driving force in many initiatives around me, it’s also like that. I decide to push it now. One of my new year resolution sis to write regularly. And as I am starting ‘Adda With Asif” in written form so it's kind of forcing me to write, thats one of the main reason why I decide to start this now. I do believe that we could do better with our life. I do see myself as a privileged person, so I think I should try to help others and see how I could add values. I don't believe I am the best businessman or I have the best product or I have the best team, but I believe together we could create the best of everything! Stay tuned for the very first episode very soon. And please add your opinion what you feel. Let's help each other and create a better future together! Would love to know more about you. Now its manually managed, soon we will have better plan. I will keep in mind. For sure its a nice initiative. I am always like that you are pro-active and whenever I hang out with you I get some motivation in my life. Hopefully, you could manage sometime, you are very busy these days, and I know next 1.5 months will be rush for you. Hope to see you soon, Dada! A facebook live followed by a blog post would be best. Because there are people who are lazy to read. Even better if you stick to podcasts or videos. I can volunteer for audio editing. Blog might be the last option because it requires extra time to write!